There’s no doubt that the awareness of the gluten-free diet has expanded tremendously since I was diagnosed in 2009. However, an accurate Celiac diagnosis is still hard to come by. Because the symptoms of Celiac manifest themselves differently for everyone. It took approximately two years of blood tests, new diets, and finally a biopsy before my sister, Sarah, was diagnosed with Celiac in 2004. Sarah was the first member of my family to get the diagnosis. Since Celiac is a multi-system disorder, the symptoms vary depending upon the individual. So when my mom started experiencing fatigue and numbness in her hands, she didn’t think it was Celiac because Sarah had an entirely different set of symptoms. After a number of discussions with different doctors and a few tests, my mom was diagnosed with Celiac in 2008. Seeing the drastic differences in my sister and mother’s experiences led me back to my doctor in 2009. 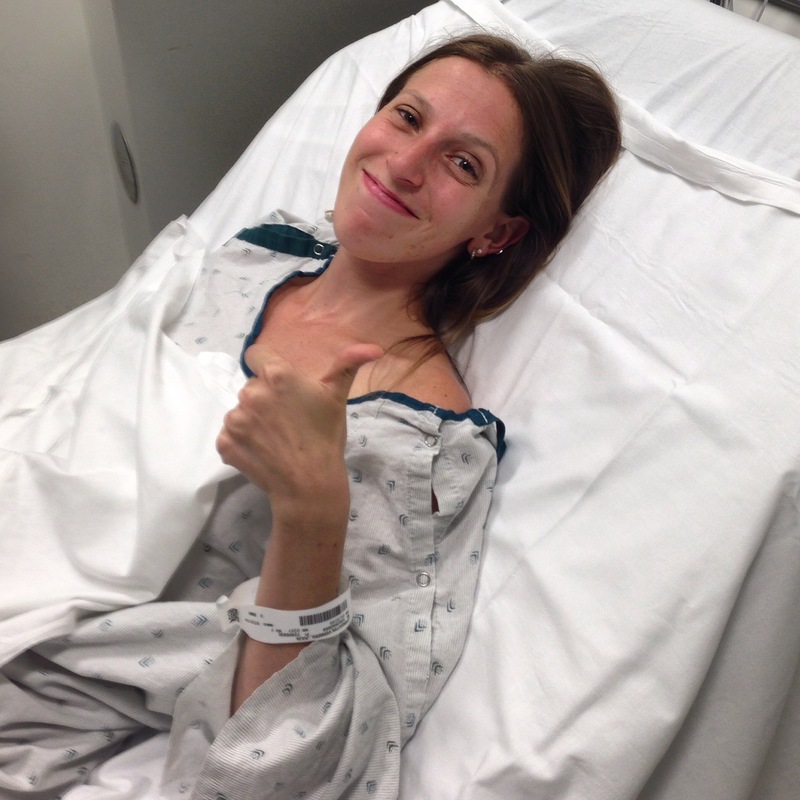 I had my blood re-drawn, and found out that I had Celiac. What I find interesting is that when I was first tested in 2004 (after my sister was diagnosed,) my blood test came back negative. I got tested again in 2009 (a year after my mother was diagnosed) and the result was positive. What I find more interesting is that I never experienced any severe symptoms of Celiac (numbness, stomach pains, bloating, etc) until adopting a strict gluten-free diet. Since each of our diagnoses, and adoptions of the gluten-free diet, we have all experienced different symptoms when eating gluten. For instance, when Sarah or I eat gluten, we are plagued with crippling stomach pain for hours. This pain is followed by the development of a crater-sized canker sore. It’s this debilitating, dynamic duo that has kept me loyal to the gluten-free diet. On the other hand, my mom swears that her only symptom from eating gluten is a runny nose. The symptoms that I’m plagued with have never varied throughout the years, but I am curious to hear from you! What symptoms do you experience when eating gluten? Have they changed over the years? Do you share similar symptoms with any of your family or friends? Comment below for the chance to be featured in a follow-up post with a compilation of symptoms and stories from Western New York’s gluten-free community! I think it’s great how you’re spreading awareness that everyone’s celiac disease presents differently. My whole family has been tested, but so far I’m the only one diagnosed (and no one else has symptoms yet). One of my best friends growing up had celiac and had no stomach pain (just failure to thrive), it wasn’t until she adopted a gluten free diet that she developed stomach pain when eating gluten. My symptoms were different than many too because although I had acid reflux which is common, I also had ovarian cysts. Looking forward to reading more on your page! Thanks so much for your comment, Kaila! I am the same as your friend – I had no pain until I adopted the gluten-free diet and now I have incredible, debilitating pain when I eat it! I think your post really brings to light the issues with gluten and getting a diagnosis. I have experienced pain in my hands, chronic headaches, and some skin conditions for years. After eliminating gluten I felt so much better. I tested negative for Celiac’s, but if I eat gluten I get stomach aches and headaches. It is so interesting how hard it is to get a diagnosis and for people to understand how much this can impact a person’s health.